OTTAWA -- Federal coffers would have to dole out more than $76 billion a year to provide every low-income household with a guaranteed minimum income if the government ever embarked on such a radical overhaul of the social safety net, Parliament's budget watchdog said Tuesday. 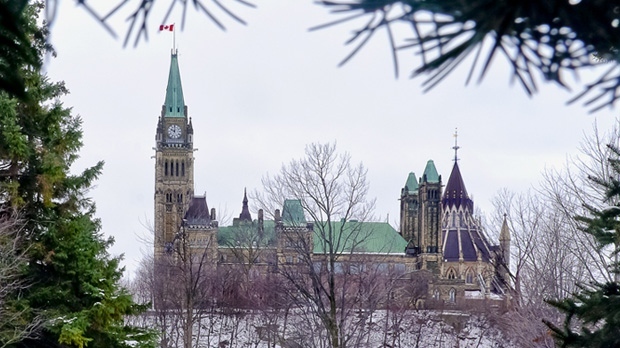 In a new report, the parliamentary budget officer estimated the federal government would have to find about $43.1 billion to cover the full cost of the program to top up the $32.9 billion Ottawa already spends on support to low-income Canadians. A guaranteed minimum income often means different things to different people, but at its core it can be described as a no-strings-attached benefit that governments provide to citizens instead of various targeted social benefits. It can be delivered as a universal payment, or as a means-tested benefit that declines in value as incomes rise. Spending $76 billion would affect more than 7.5 million people, who would receive on average $9,421 a year, with the maximum amount reaching $16,989 for individuals and $24,027 for couples, before deductions for any income earned. A government determined to institute the idea would have to decide what benefit programs to replace, the value of the benefit itself, and how to address some of the non-financial factors that affect poverty, said Mostafa Askari, the deputy parliamentary budget officer. "If politicians were to implement this, then they would have to really decide about the structure of this program," he said. The federal Liberals have been lukewarm to the idea at a national level, arguing the Canada Child Benefit, among other measures, amounts to a guaranteed minimum income. A recurring theme in the government's work on a poverty reduction strategy has been the need to modernize the social safety net and the 61 federal income support programs involving eight departments. The Liberals are unlikely to trade those programs for a basic income that, given equally to working age Canadians and seniors could leave the latter group with less money than they get now, said David Macdonald, a senior economist at the Canadian Centre for Policy Alternatives. "There is a temptation to just clear away the table and re-setup your own basic income that treats everyone the same across the board, but the danger in doing that is you end up with losers," Macdonald said. Macdonald, who has studied basic incomes, said the concept isn't a silver bullet to poverty eradication, but it can be part of the solution. 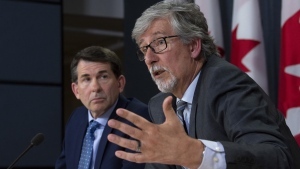 Ontario is testing the idea and federal officials are keeping on a eye on the pilot project, the parameters of which formed the basis for the budget officer's report released Tuesday. Hugh Segal, a former senator who helped design the Ontario pilot, said the numbers in the budget officer's report suggest a federal program wouldn't break the bank. The cost of a basic income system is a key concern from critics, as is worry that the money would act as a disincentive to work. Conservative finance critic Pierre Poilievre, who requested the budget estimates, tweeted that the report doesn't eliminate that concern: "The welfare state apparatus remains & the financial penalties for working grow -- the opposite of what basic income was supposed to do." Segal, a former Conservative senator, said a basic income should receive all-party support if the Ontario test yields positive work outcomes and helps reduce government spending on health care, even from Tories who believe "people should get a step up and not a hand out." "A step up is a base that then encourages them to work," Segal said. "That's what this is designed to do."